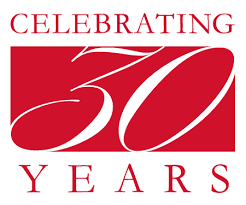 Today marks thirty years of employment with the Department of Health as a public health microbiologist. Hard to believe I started on a two week Christmas vacation fill-in. Only two of us wanted to do the two week placement when offered it during our exams. The others all wanted a break. Finished the exams on the Friday and went into the job on the Monday. Had a good time and they apparently liked me as at the end of the two weeks they said to come back the next Monday! I went for an actual interview in April the following year and got a permanent position. Suddenly in the July they realised that I had not had my medical so I rock off to that and now I have to confess a guilty secret. I have lied on a government form. And I did. In the 1980s the Queensland Health Department still had a height restriction. Females had to be five foot plus to be employed. So my thirty years might not have happened for the sake of an inch and three quarters. How many of your ancestors worked thirty years for the same employer? I have a few who have worked for the railway and some government departments. Many others have worked in the same occupation such as being agricultural labourers, granite quarrymen, shoemakers etc. Huge Free Collection of Digitized Books Now Available on MyHeritage! We’ve just added an exciting new collection to MyHeritage SuperSearch™, containing over 37 million pages in 150,000 books relevant to family history! The new collection includes tens of thousands of digitized historical books, with actual images of the books’ pages, and all their text extracted using Optical Character Recognition. The books span the last four centuries and include family, local and military histories, city and county directories, school and university yearbooks, church and congregational minutes and much more. A vast amount of rich data from diverse publications makes this collection a fantastic source of rare genealogical gems, providing insight into the lives of our ancestors and relatives. We’ve added this collection using a new process that adds approximately 250 million pages to SuperSearch™ per year, utilizing a team of 40 curators. The curators examine each digitized book for relevance to family history research, and enhance its meta data if they decide to include it. The collection is sourced from various published texts that are copyright-free, and will be updated from now on several times each year. The Compilation of Published Sources collection is located in SuperSearch™ under Books & Publications and is free to access. Easily search the collection by any of the following: first name, last name, publication title, publication date, publication place, or keywords. Our unique and powerful Record Matching technology is now matching this new collection automatically to all family trees on MyHeritage, and users are alerted if Record Matches are found for individuals in their family tree. Correct matches can be confirmed and source citations can be extracted directly to your family tree, using the extract information feature. 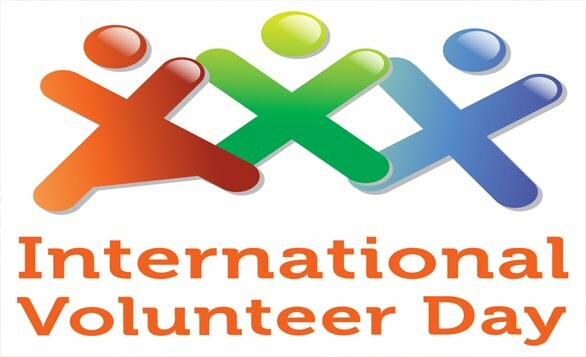 The United Nations (UN) annually observes the International Volunteer Day for Economic and Social Development on December 5. The day, also known as International Volunteer Day, gives us the chance to thank the volunteers for all the their contributions. So much of what happens in family and local history societies is done by volunteers. In fact without them very few societies would be able to open their doors at all. Some of these are done with images being sent by email or people transcribing documents such as the Will Transcription project being done by the Oxfordshire Family History Society where they have put online transcribed wills searchable by name and place. Of course, FamilySearch is the best known of the online family history indexing projects where individuals or groups can go online and index documents. They are setting up a new indexing platform which will allow you to index using your iPad or Android tablets. The below graphic was taken from the FamilySearch site today showing what can be done by many volunteers around the world. That is 102, 786, 912 million records indexed by volunteers! They are indexing many non-English language records so if you are clever enough (unfortunately I am not) why not index another language thereby making those records accessible to all too. There are a number of very special records too such as the Freedmen’s Bureau Project which currently has 10, 000 volunteers who have indexed online around 15% of the records. This will be a fantastic resource for African American research. With 521 current open projects there is sure to be something which you would find interesting. I think of volunteering as giving back, paying forward some kindness and in today’s troubled world any kindness shared around can make life just that much brighter. The joys of modern communication and computers means we can all give back. Trove the so superlative FREE, yes I said FREE Australian newspaper digitisation site also has wonderful volunteers that correct the OCR (Optical Character Recognition) text. The computer has done a varying job in recognising the characters. Many wonderful volunteers spend time correcting the test so that you are able to find that entry when you search. There are so many wonderful volunteers and also so many projects that we would all dearly love to see completed. Today on the International day of Volunteers pause for a moment to say thank you. Then think for another about how you might be able to help. So many of these indexing projects can be done at your computer in the comfort of your home. What projects does your society have happening or are considering? Can you spread some kindness today?